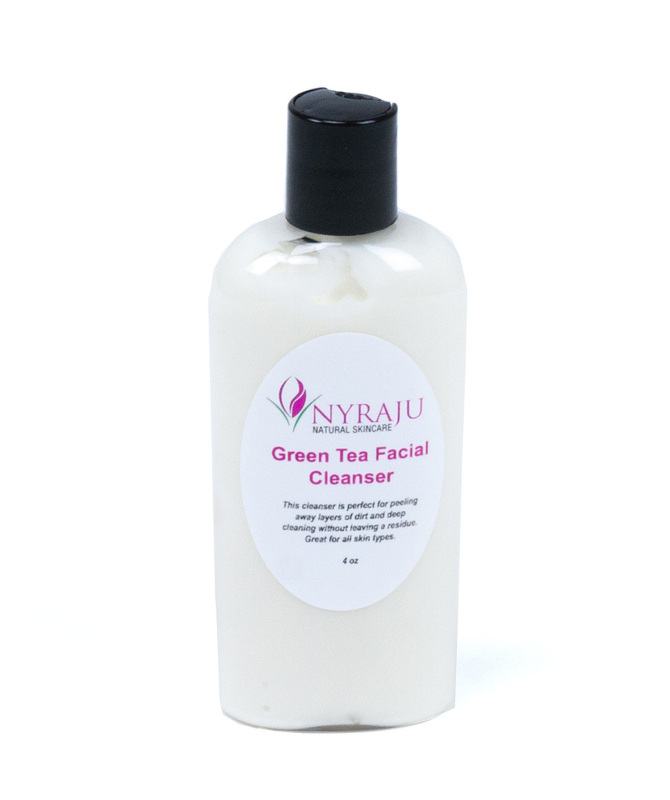 Keep them guessing about your age when you use our natural non-foaming Organic Green Tea Facial Cleanser. Ideal for acne challenged skin and for giving mature skin that ageless and flawless look that is common for women of color. Our specially-formulated for African American skin Green Tea Facial Cleanser is perfect for deep cleaning and peeling away layers of damaged skin without leaving any residue. For hundreds of years, women in Asia have been using green tea as a beauty aid for their dark skin, helping them look years younger. That's because green tea fights sun damage and kills bacteria that destroys the skin. Our vitamin-enhanced formula is perfect for any skin type for women of color. Whether you have sensitive, mature, dry, sun-damaged, combination, acne or normal skin, you will find that our Green Tea Facial Cleanser cream gently deep-cleans each pore, leaving your beautiful brown or black skin with a vibrant glow that everyone will notice. How To Use:: Morning and night ... Squeeze about a quarters worth in the palm of your hand. Apply it to your neck and face. Let it remain on your face while you brush your teeth, then remove it with a warm damp cloth. This is a cream cleanser, it will not foam. My son plays football and was looking for something to soothe the breakouts, itching and irritation he'd get from wearing all the gear and sweating. I gave him the Green Tea Facial Cleanser to get him out of my face and I kid you not, it cleared up the breakout, itchiness and irritations he was getting. I love the Green Tea Facial Cleanser. I ordered the Skin Care Sample Kit to try your product line. I followed your instructions and was really surprised at the results. I cleaned my face with the Green tea cleanser and had to run and answer the door. I walked by a mirror and thought I'd left the product on my face. So I used a warm cloth and thought I was removing the product. My face was glowing. Just as I thought, I had removed the product but the appearance of my skin was unbelievable. It was radiant and really looked clean.